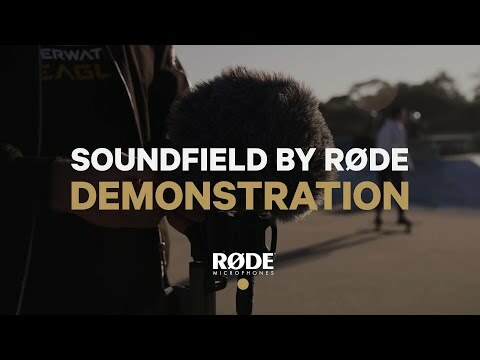 Product Overview SoundField invented the ambisonic microphone, A-Format™ and B-Format™ audio, revolutionising 3D audio production. RØDE revolutionised the microphone industry, using advanced manufacturing techniques to deliver broadcast-quality precision microphones at accessible prices. Now, for the first time, the magic of these two iconic brands has come together. The NT-SF1 records the entire spherical sound field. Every sound, every direction, perfectly. This means that later, in post-production, you can manipulate the sound. Alter the mic directivity, position and rotation. Create a full 7.1.4 surround mix. Create a fully head-tracked 360-degree soundscape for immersive video. Whether recording opera, a swamp or a feature film, the NT-SF1 offers unparalleled quality and flexibility. At the heart of the NT-SF1 is the brand-new TF-45C true condenser capsule. This completely new design breaks new ground in precision manufacturing. Created in-house at RØDE’s Sydney HQ, it is machined to tolerances of less than 1 micron in our state of the art fabrication facilities. The result is a capsule with breathtaking clarity, sonic purity and exceptionally low noise. 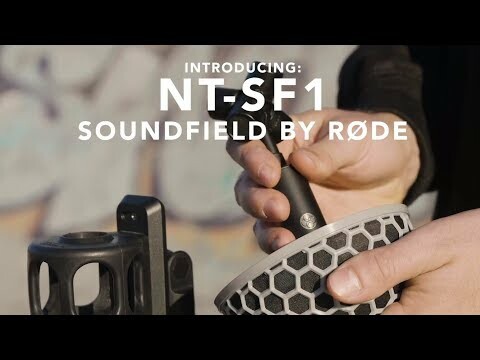 The new NT-ST1 is perfectly matched to the new SoundField by RØDE plugin ambisonic processor. 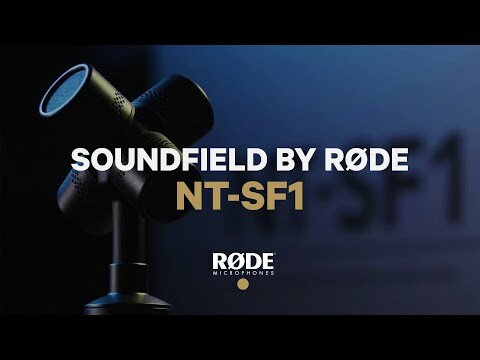 The new SoundField by RØDE plugin has been designed to offer the most accurate spatialisation and sound reproduction when used with the NT-SF1. The NT-SF1 is the perfect mic for a range of applications, from music recording through to capturing 3D soundscapes for VR applications. As productions increasingly require the use of surround or multi-channel spatial reproduction, the NT-SF1 should be part of every sound recordist’s arsenal.